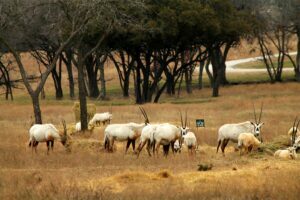 The oryx is one of the best desert-adapted large mammals, capable of living in a waterless habitat where few other species can survive. 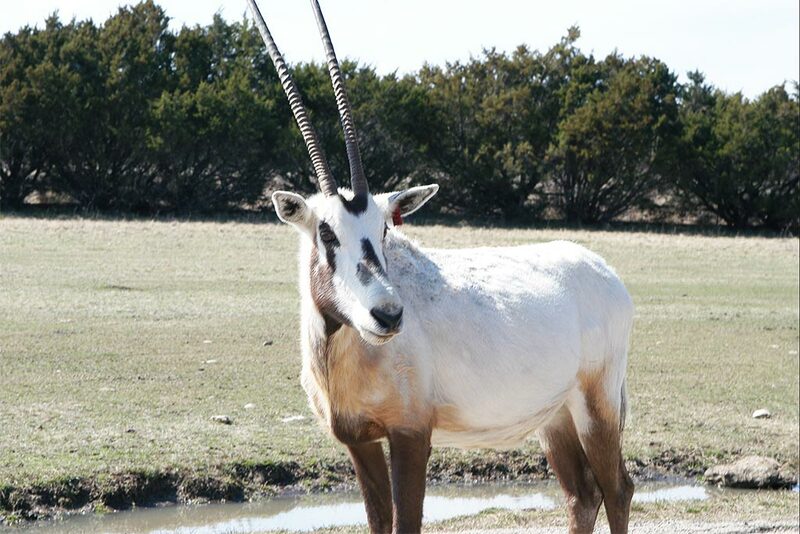 They can exist for weeks without water. 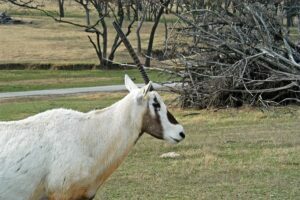 Water is obtained by eating plants. 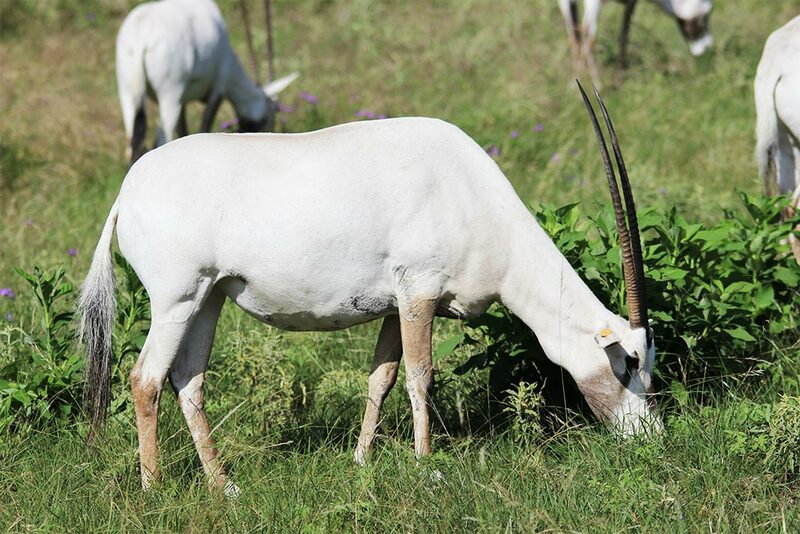 Arabian oryx eat mainly at night when the plants are most succulent after absorbing nighttime humidity. 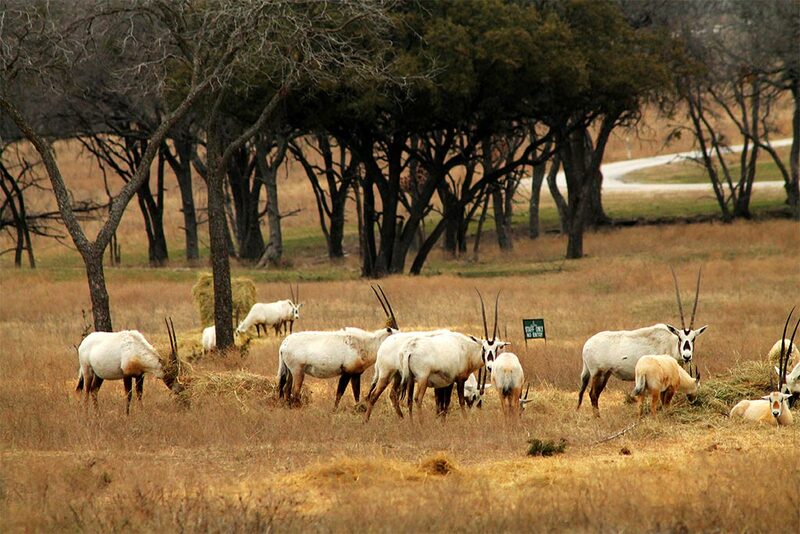 During periods of drought, oryx will dig for roots and tubers in order to obtain needed moisture. 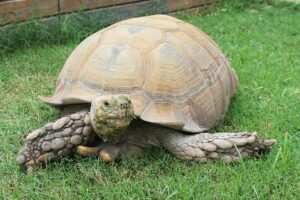 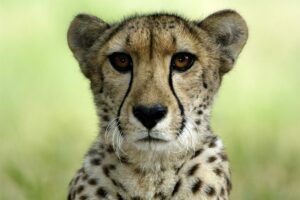 They became extinct in the wild in 1972 and were reintroduced in Oman in 1982, followed by reintroductions in Saudi Arabia, Israel, United Arab Emirates and Jordan. 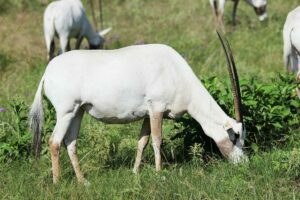 Arabian oryx in protected areas are generally safe, but those that wander out of the protected areas are in danger of being poached. 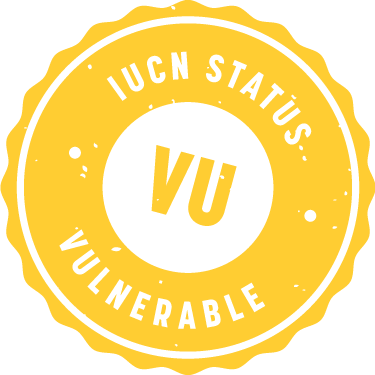 While there are only about 1,000 animals in the wild, the population is considered stable, hence the IUCN status designation of “Vulnerable” as of 2011. 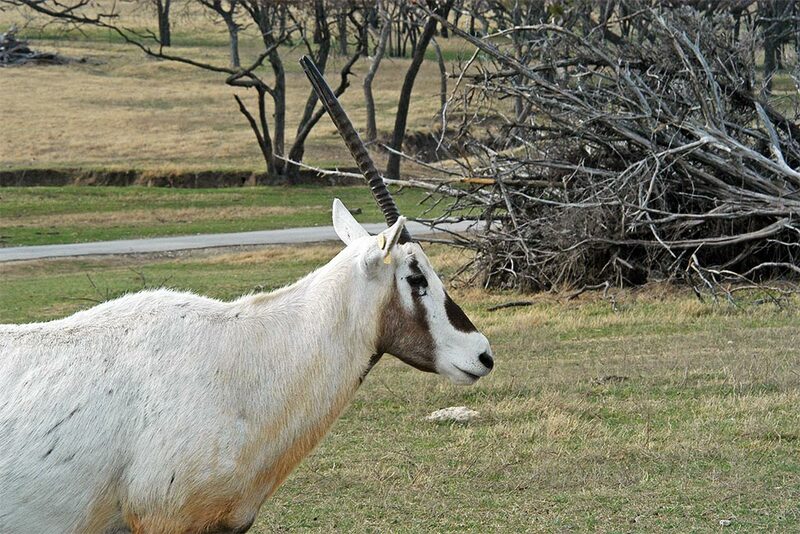 The Arabian oryx has a white coat with black markings on its face, and its legs are dark brown to black. 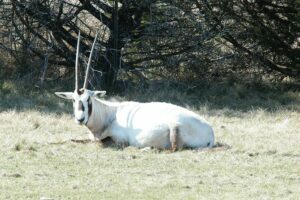 Its predominantly white coat reflects the sun’s heat in summer, and in winter the hairs on its back rise to attract and catch the sun’s warmth. They have broad hooves for walking great distances on loose gravel and sand. Lance-like, three-foot long horns are weapons used for defense and fighting.